It's been two years and you still don't own Overwatch? Fortunately, it's on sale and there's a free weekend going down right now. Who's ready to celebrate Overwatch's two-year anniversary? Blizzard has a copious amount of content available for all Overwatch owners, including past brawls, new outfits, a new Deathmatch map, and more. But what about those who don't own Overwatch? 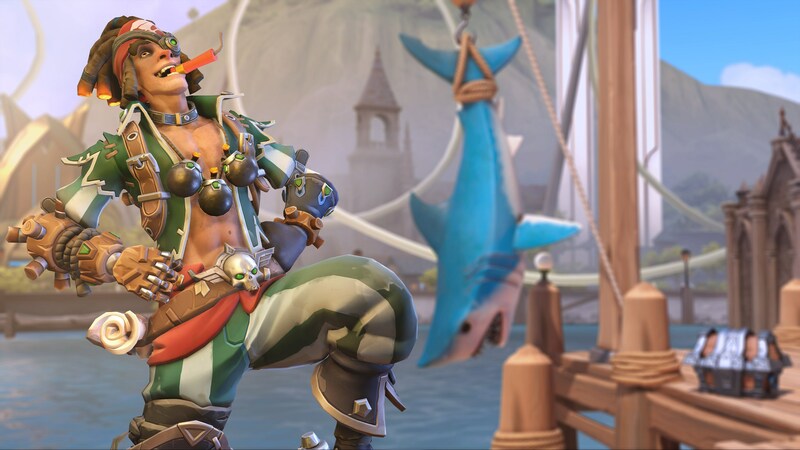 Fortunately, not only is Overwatch on sale across both the Xbox Live Marketplace and the PlayStation Store, but there's also a free weekend underway. That means anyone can pick up and try Overwatch all the way through the end of Memorial Day. So pick up your favorite hero and get ready to do battle. Metal Gear Solid V: The Phantom Pain - FREE! Super Mega Baseball 2 - FREE! Find more indie gaming deals right now in the ID@XBOX Game Fest Sale. Battlefield 1 In the Name of the Tsar DLC - FREE! Battlefield 4 Final Stand DLC - FREE! Find more games featured in the PlayStation 4 Extended Play Sale. Find more games featured in the PlayStation 3 Extended Play Sale.